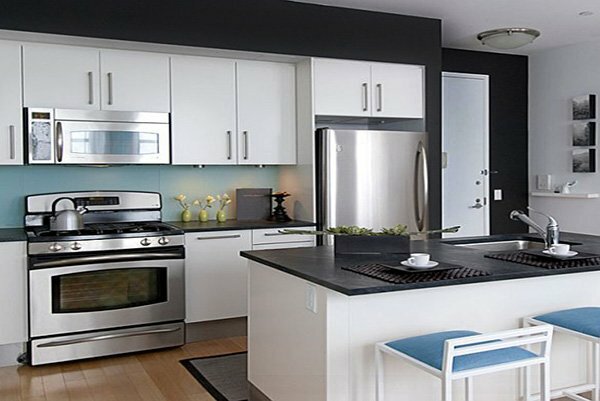 Kitchen decoration becomes successful when it’s done with right color combinations. 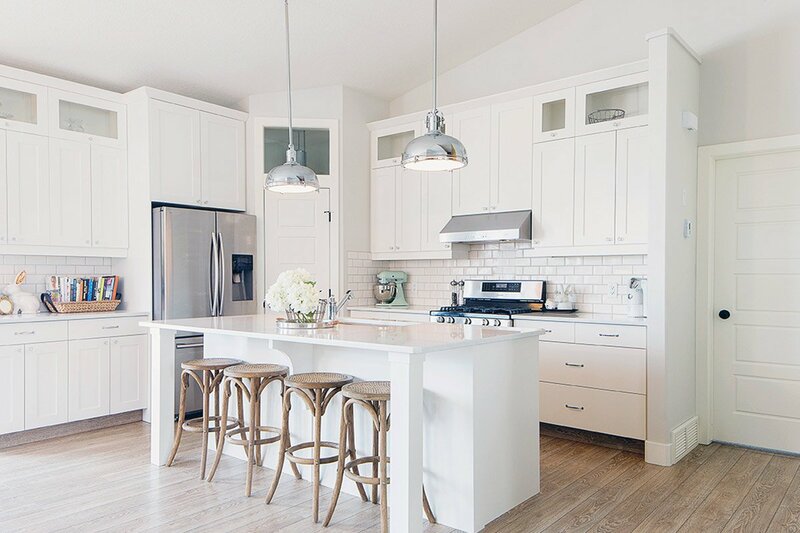 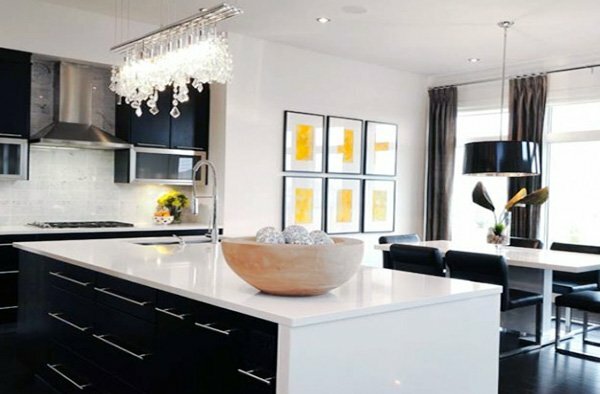 There are numerous items in kitchens, so you need to do some thinking before you decide on a combination, as it might turn out to be overwhelming or look untidy. 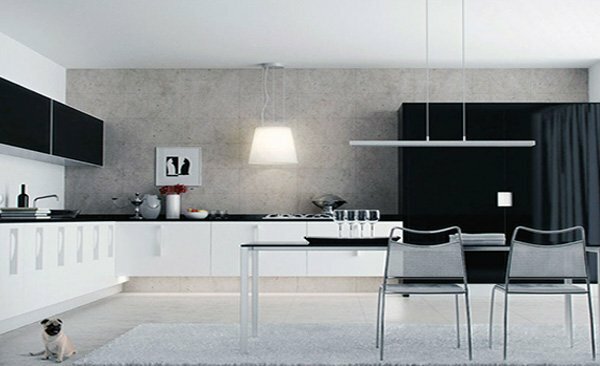 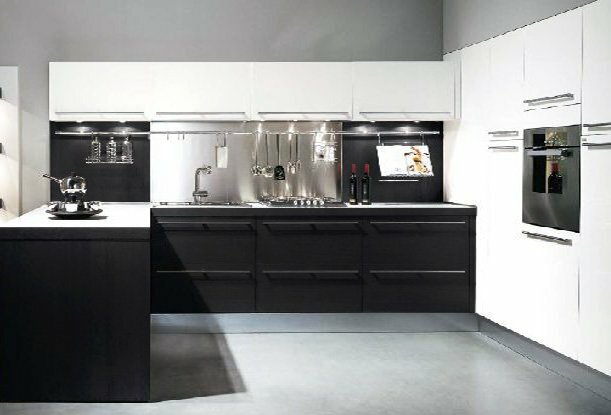 Now, if you want your kitchen to be different than the rest out there, black and white kitchen design is what you should choose. 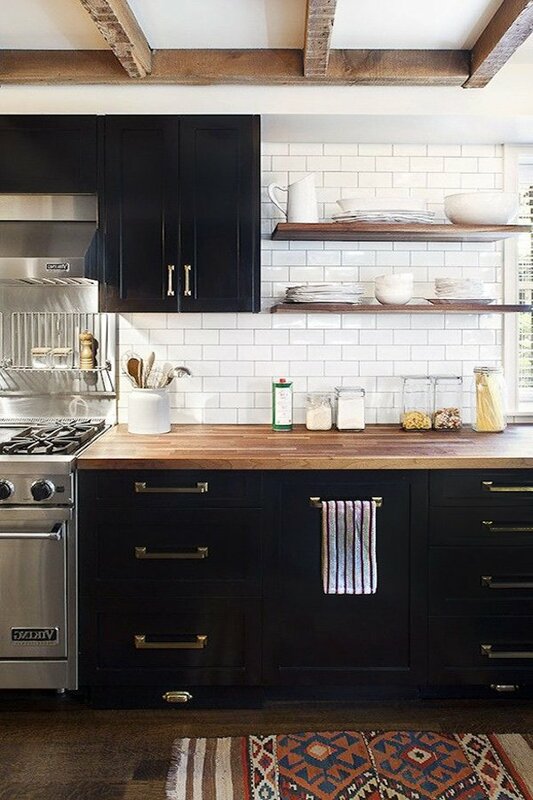 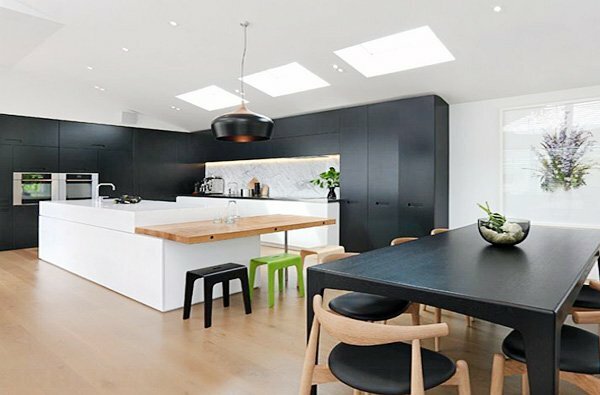 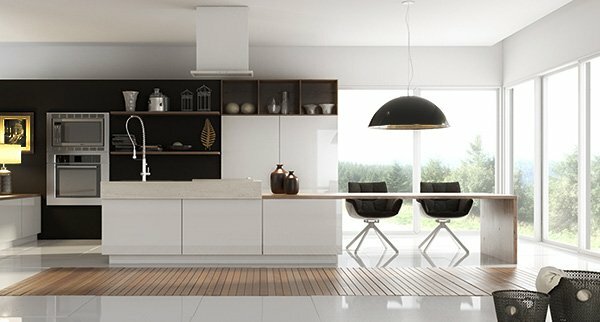 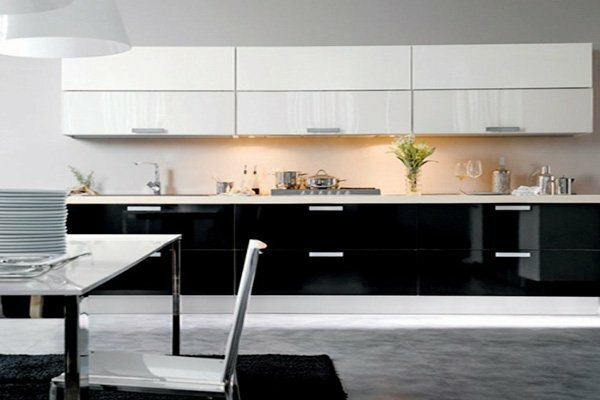 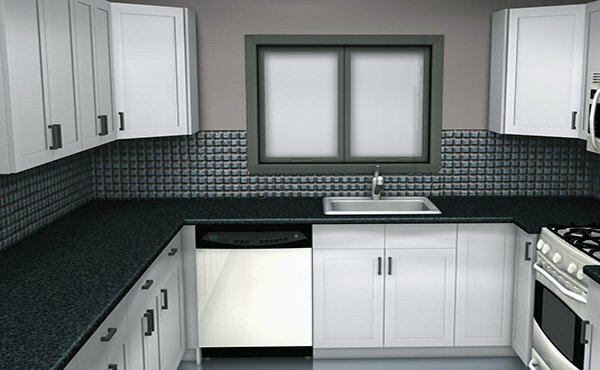 Black and white combination is one of the first combinations that come to mind when the point in question is choosing a color combination for kitchen. 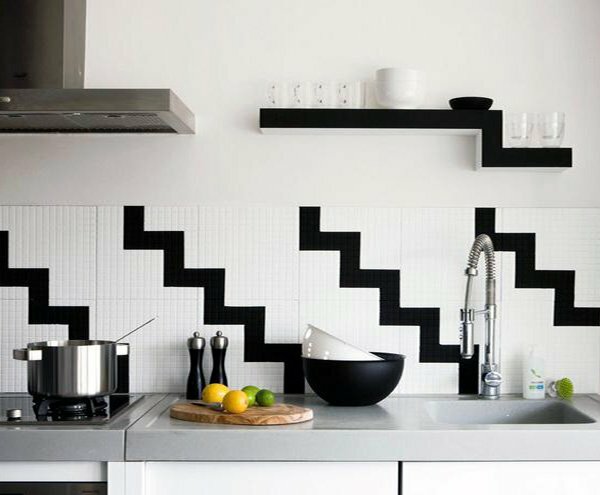 Representing bravery and tranquility, black and white combination will make your kitchen look bigger, brighter, and stylish. 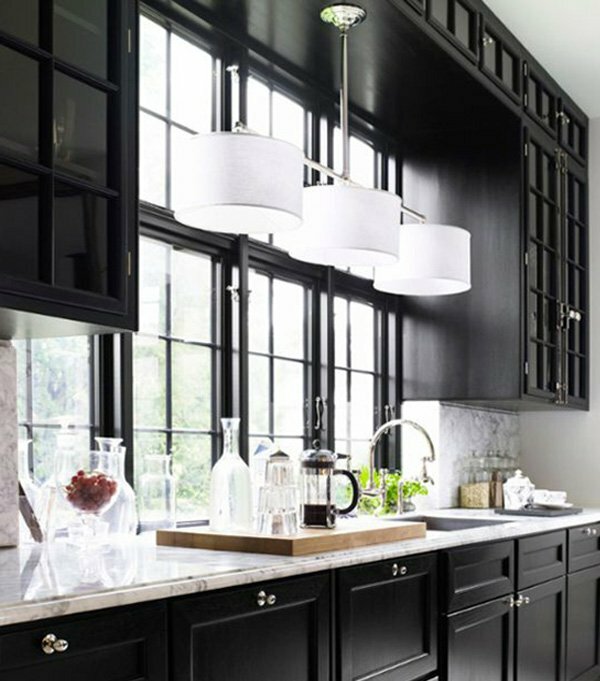 You can use black heavily and add some white to capture a more graceful feeling, or use mostly white if you have a rather smaller kitchen. 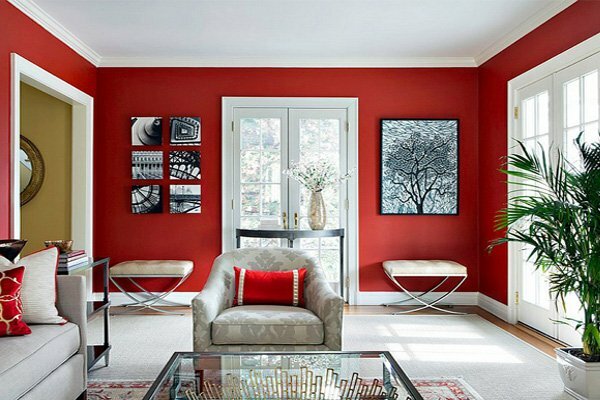 If you can, try to balance it out to achieve a classic elegance. 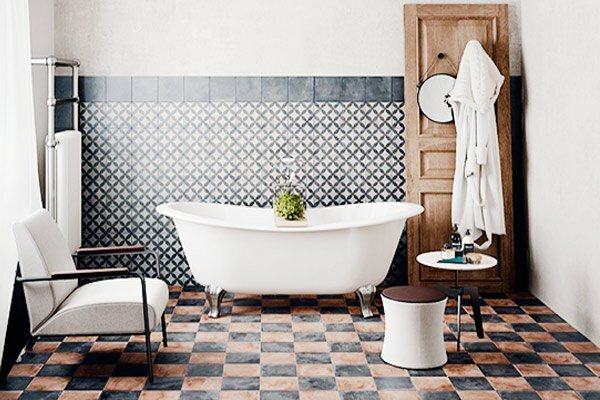 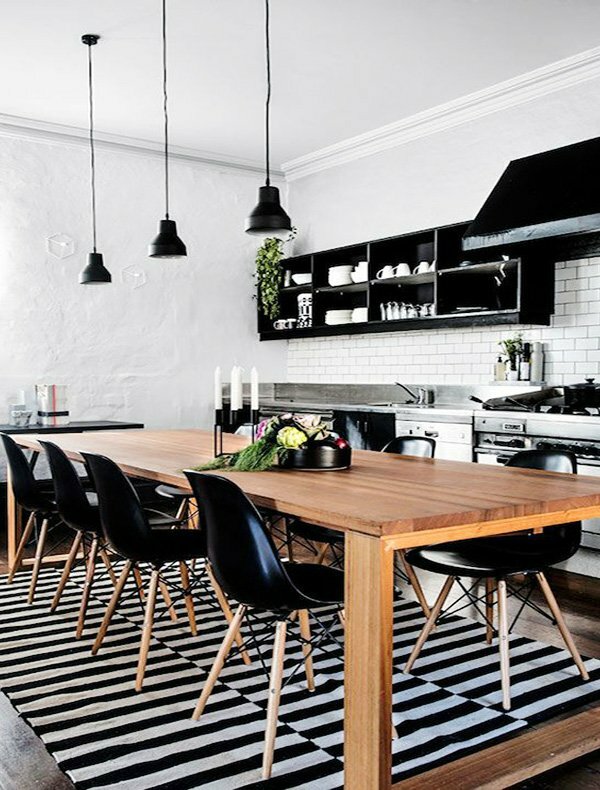 Patterns go well with black and white, so take advantage of this and add some geometric accessories and wall arts. 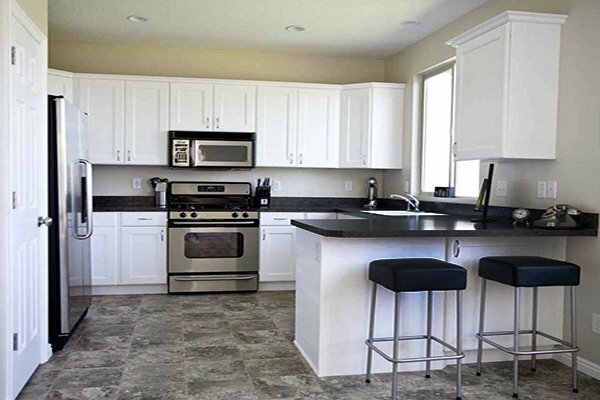 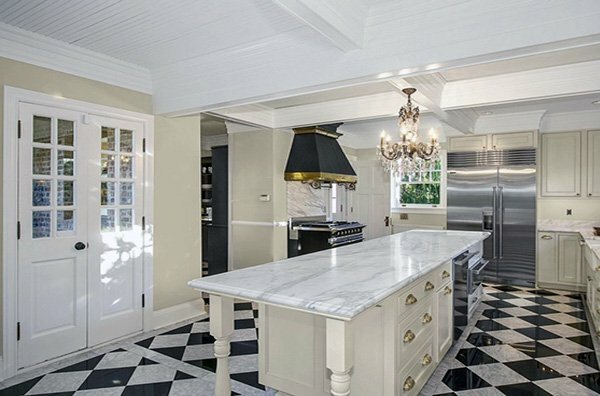 Besides, you can use black and white marble floors to add some style to kitchen. 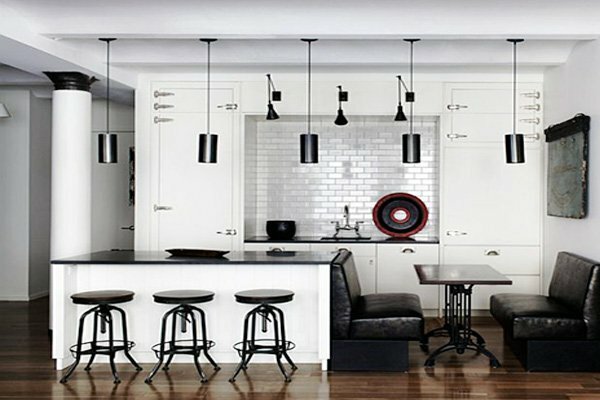 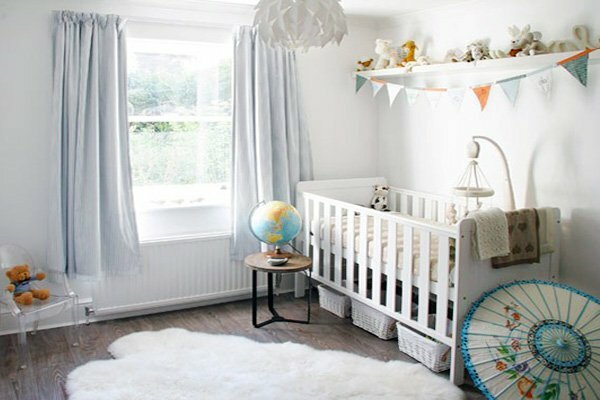 In addition to allowing the decorators to achieve a trendy or vintage look, this combination also allows for elegance by offering sleek details. 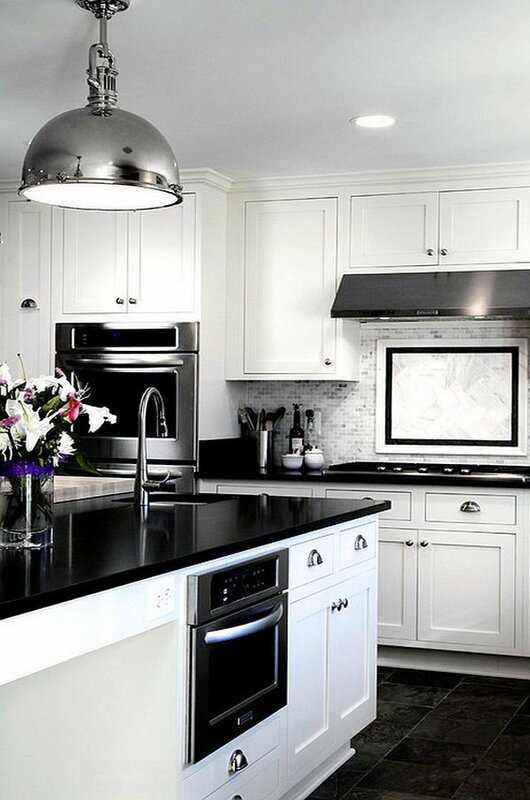 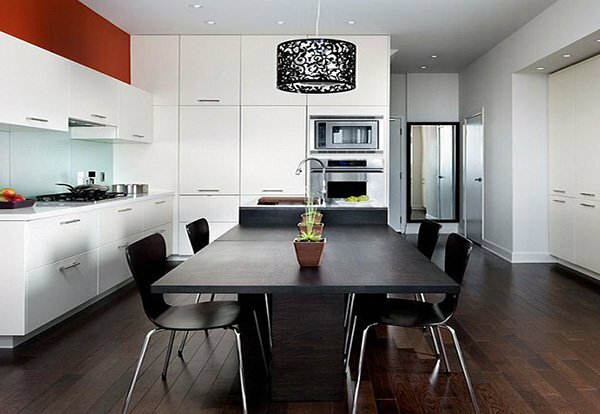 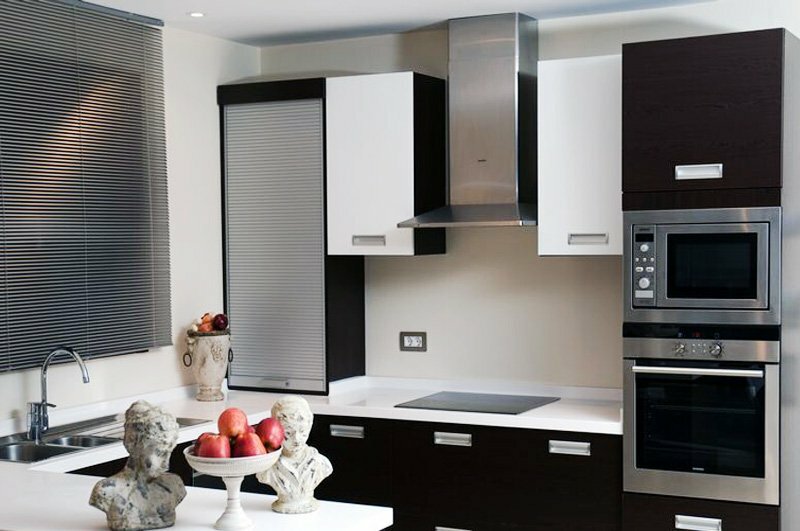 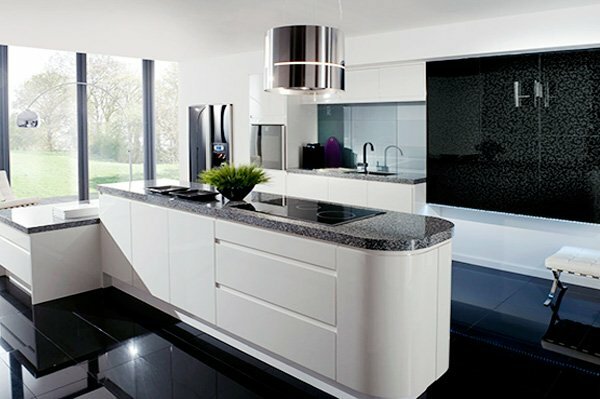 You can choose mirror finish on black cabinets or opt for matte and achieve a softer appearance. 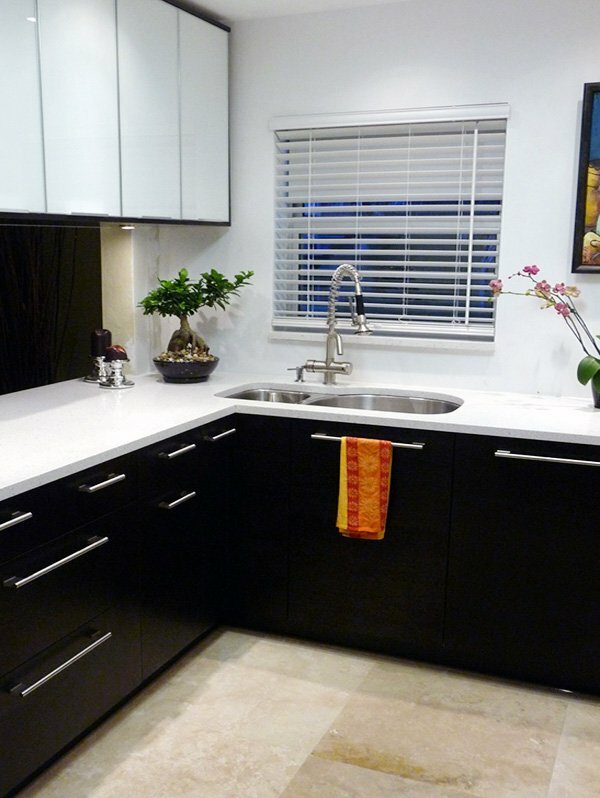 With the right lighting, you can capture a stunning atmosphere during the night as well. 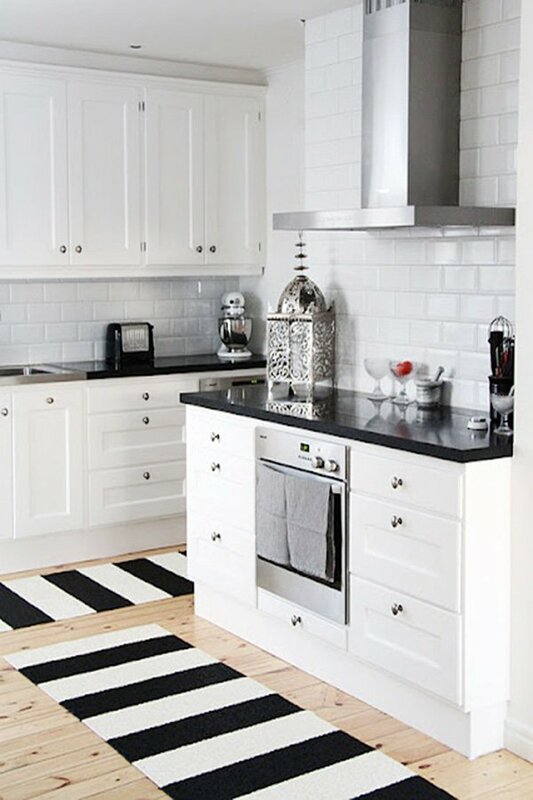 If this striking combination is what you are looking for, use black and white color combination in your kitchen, but make sure to check these out before you make up your mind!